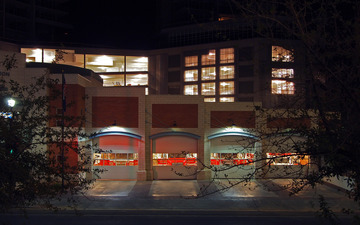 Tempe Firestation #6 can be found here. Behind, construction going on at Tempe West 6th residential towers. anything above 110º is just too hot, maybe, LOL. And temperatures won't even drop below 80's anymore, how sad! haha.